It is always good to own a seven-seater vehicle for most of the grand purpose. As ever described, it gives you immense confidence on oneself. While there are many seven-seater vehicles we are here to compare the effective ones that are on streets across nation. 4wheelreviews here takes on Renault Lodgy and Toyota Innova. The former has the meaning to itself as its name; you get an impeccable space that you feel you’re in a lodge. Toyota Innova as by name, says innovations are experimented and still claiming to be one of the best. 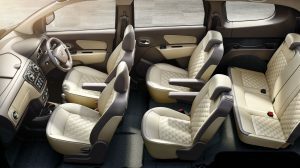 Despite many innovations carried out by Toyota, here, The Lodgy MUV is Renault’s attempt at making a mark in the premium seven-seater segment that is being ruled by the Toyota Innova for more than half a decade now. Where most of the Innova’s rivals failed for reasons like brand value, ownership cost, ‘taxi image’ and even looks, we try and find out if the Renault Lodgy stands a chance with the claimed modern underpinning, better performance and extra cabin space. Speaking on the looks of lodgy, the good looks then come essentially from cosmetic upgrades and design elements that hide the bulk. The Lodgy at primary level is also a box, though Renault has made more than a few changes to try and make it more appealing. At close to 4.5 metres, the Lodgy is a big car and the side profile gives a better idea of its proportions. It is based on the Duster platform with an extension at the back to accommodate the third row. The Lodgy badge is placed in trademark Renault style, embossed on a chrom plate, right in the centre above the number plate which makes the look more appealing for Lodgy. There is plenty of room in the second row though thigh support has been compromised; the all-important third row space is much better than its rivals including the Innova. This MUV offers 210 litres of boot space – which isn’t much, but still on par with the competition. The fit and finish of the Renault interior has been an issue and it is no different with the Lodgy. 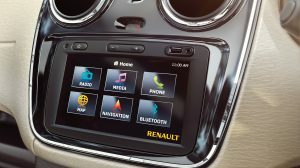 The features list is acceptable with the touch screen system (no CD player), cruise control, speed limiter, rear camera and sensors and independent AC vents for the second and third row of seats. The main reason of buying a seven-seater MUV is the usable space it has to offer and the Lodgy definitely does a good job on this front. It can certainly fit seven people in comfort and that is a big plus especially since it manages to do that without looking like a box. The Renault’s renowned K9K diesel engine does duty under the hood, powering the front wheels with either the 85bhp five-speed setup or the bigger 110bhp six-speed setup depending upon the variant. The 110bhp version of the Lodgy is capable of reaching 100kph in about 12 seconds and that is much quicker than all the MUVs in its segment. Both the Renault Lodgy and Toyota Innova come only in the diesel guise. The engine in the Lodgy is available in two states of tune (83.8bhp and 108.5bhp), but for this comparison, we’ll consider the more powerful version. Although the Lodgy has a smaller engine, it makes 8bhp power and 5kgm of torque more that the Innova. It also touches 100kph just under 2,000rpm in the sixth gear, delivering exceptional efficiency over long journeys. The official ARAI efficiency figures of this 110bhp version are 19.98kp while the 85bhp version is rated at 21.01kpl. 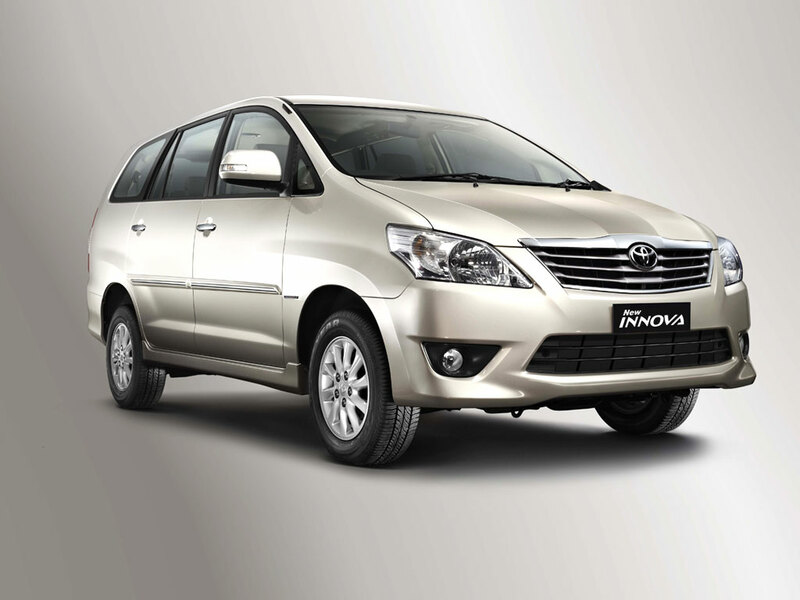 While Innova has an engine of 2494cc and is capable of producing 101bhp at 3600rpm power and is of diesel variant. The Lodgy (108.5bhp version) also gets an extra gear over the Innova; the sixth gear could imply that the Renault is better suited to cruising on the highway and returning better fuel economy than the Toyota. 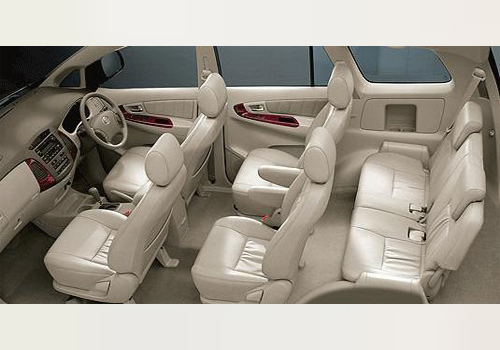 MPVs are all about practicality and space; lots of space. You cannot contemplate for more space after you buy an MPV. It is so important factor to be considered as the dimensions, the Lodgy has a wheelbase that is slightly longer than the Innova’s and While legroom could be a bit of an edge in the Renault, the Toyota is likely to be more comfortable for taller people. 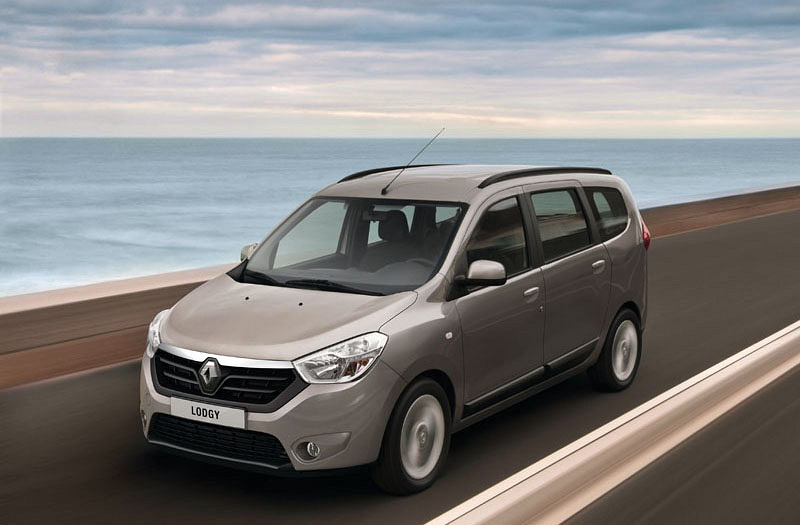 The final verdict from 4wheelreviews is Renault Lodgy. It has the best ride and handling balance, class leading performance figures and more than acceptable cabin space. The only problem is the quirky looks, though that should not be a big hurdle since Renault has already established itself as a premium brand. This guy is wheeling on water with a SNOWMOBILE ! How’s that for craziness?